Remember the days when you had to refill the ice tray nearly every other day? The fun times of trying to pop them out and getting what precious little ice cubes you had scattered all across the floor while your lukewarm drink sat sadly on the counter? Well, thanks to ice machines, those days are a distant memory. Ice machines can be found all over in both residential and commercial locations. Whether they are built-in to refrigerators or a large, singular unit, they have become invaluable to those desperate for cold drinks everywhere. Ice machines work through an interesting process, and don't tend to vary from residential to commercial machines. To put it in simple terms, a gaseous refrigerant is pumped through small coils which then heat up. Once it reaches the right temperature, the refrigerant is released into larger tubes and the gas within the coils becomes a liquid. From there, it runs through a few more steps until, ultimately, the harvesting cycle is reached and the ice is produced. The process is definitely one that machine enthusiasts can appreciate. However, something that anyone who owns an ice machine can appreciate is the need to keep it clean. Ice Machines: Keep ’Em Clean! 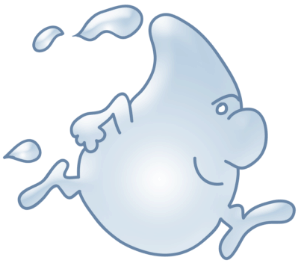 ·Contaminants—An ice machine can function with or without a filter. In the beginning of its life cycle, the ice machine will typically produce crystal clear ice that is excellent quality. However, over time, contaminants such as dirt and rust can start to build up in the inner mechanisms of your ice machine, causing the ice to deteriorate in quality and sometimes even causing a bit of an unpleasant odor. 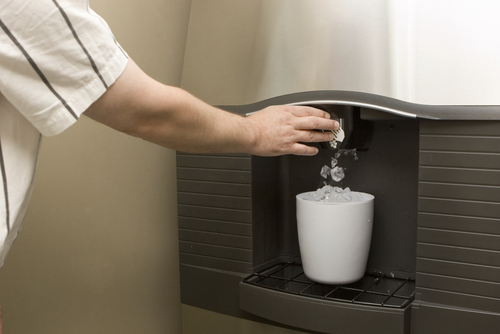 Much like any water filtration system, an ice machine will ultimately push any of those contaminants into your ice, which results in bacteria ridden ice cubes. Restaurants, for example, are often settings where bacteria thrives and this can spell disaster for the quality of your ice as well as the state of your ice machine. Installing a filter can help keep these disgusting items from building up, but regular cleaning and maintenance will also work wonders. ·Helps Reduce Maintenance Needs (and Headaches)—No one wants one of their machines to break down. Whether it is a residential or commercial ice machine, having it suddenly stop working is not something many people would enjoy. Fortunately, regularly cleaning your ice machine can help avoid maintenance and repair issues. Numerous problems can arise in an ice machine from a build-up of rust, dust and other nasty byproducts of regular use. Knowing when, and how often, to clean your ice machine can often vary. According to the Food and Drug Administration, ice machines must be cleaned and sanitized as per the specifications of the manufacturer. Most manufacturers will recommend cleaning your ice machine between two to four times per year unless–and this is super important–your conditions require more frequent cleanings. Again, this might be in a restaurant or another setting where contaminants can build up. While the process for cleaning an ice machine can be time-consuming–even arduous–it is still important and will save you a lot of headaches in the long run. 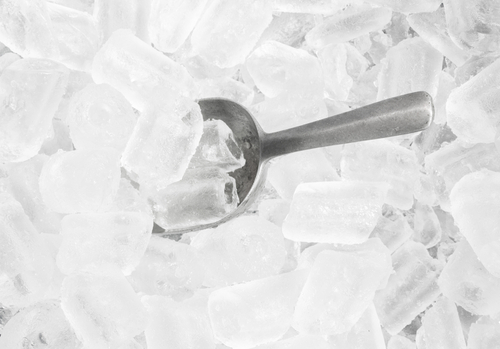 ·Better quality ice—Let's face it, we all want the best quality we can get from our ice machine. No one wants ice that is clouded or smells funny. Whether you're serving drinks on the rocks at home or serving customers at a bar, the quality of your ice makes a big difference. Regular cleaning, as mentioned before, can help stop maintenance issues as well as contaminants from ultimately affecting the quality of your ice. While a filter can handle some of the contaminant problem and keep your ice quality high, regular cleaning is still extremely important. A filter might need regular replacing anyway, so you'd still be looking at some level of maintenance on your ice machine in order to keep things running smoothly. A good cleaning with proper sanitizing or specialized cleaning supplies will keep your ice crystal clear and of proper quality. I think we can all agree that no one wants dirty ice in their drink, whether out for dinner or just relaxing at home. 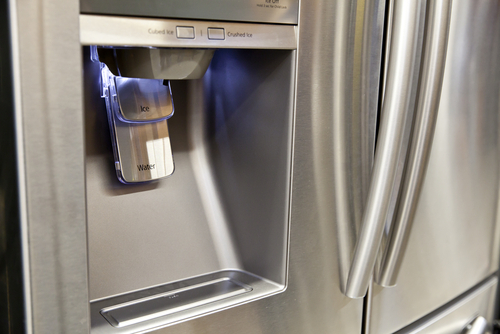 Regularly cleaning your ice machine will save a lot of time, headaches and scrunched-up faces in the long run. While the process for cleaning is definitely time-consuming, involving partial disassembly, sanitizing the parts and then letting them sit is ultimately a practice that everyone who owns an ice machine should put into practice. You'll avoid gross ice with dirt, rust and other unacceptable additions and reduce the amount of maintenance and repair overall. Be sure to pay attention to the manufacturer’s instructions and, of course, use your own judgment on how often your ice machine needs to be cleaned in order to generate ice that satisfies all.